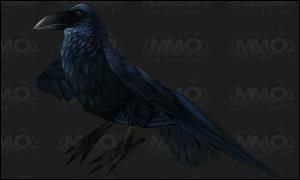 Update: Hotfixes for the Crow and Darkmoon Glowfly are in flight. Crow captureable, Glowfly at all qualities. 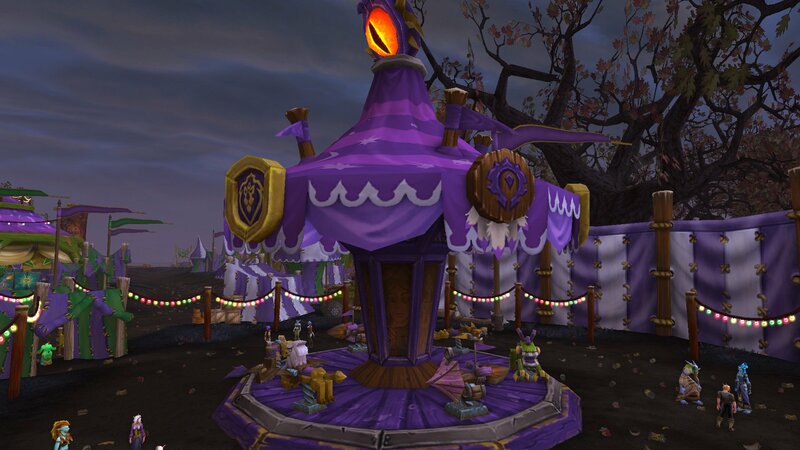 The Darkmoon Faire has started and Patch 5.1 added a few new things. 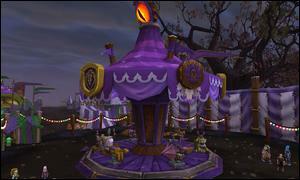 The biggest addition is the new Darkmoon Carousel, which takes the place of one of the large under construction tents. It uses the nice new music that was added in Patch 5.1. Riding it gives you the WHEE! buff, which increases reputation and experience gains by 10%. Unlike some of the other event buffs, it does work with quests as well, so it will be useful for leveling reputation. This buff will last for an hour if you ride long enough but does not persist through death, so be careful! If you are working on pet battles, the new Darkmoon Pet Battle! daily quest will let you fight a new pet battle trainer, rewarding you with Darkmoon Pet Supplies. 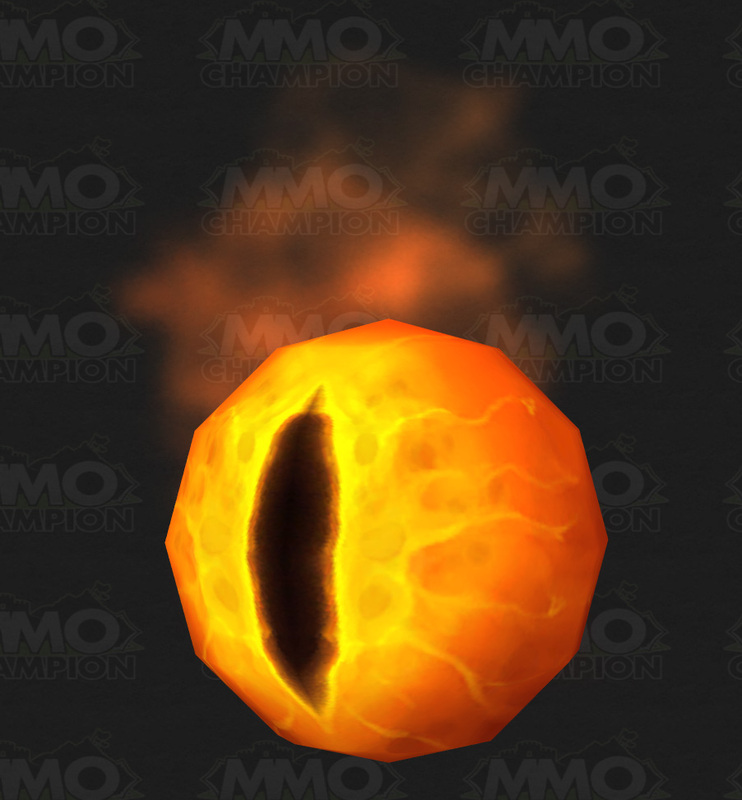 The bag has contents that are similar to the Sack of Pet Supplies, but has a rare chance of dropping the Darkmoon Eye battle pet. So far we haven’t seen one drop out of our small sample, so it is likely the drop rate is similar to the .2% of Porcupette. 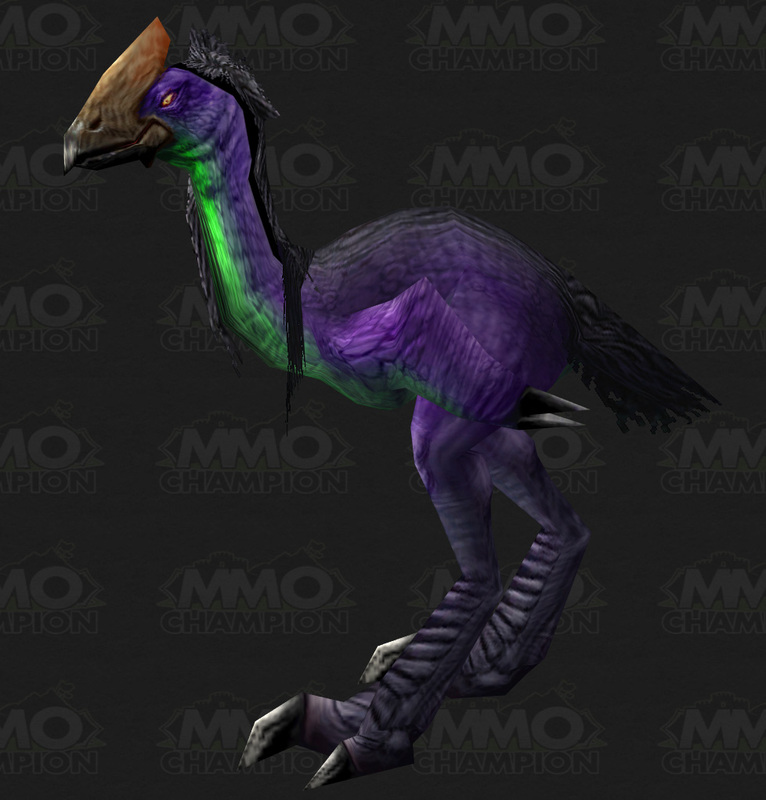 Even if you aren’t ready to battle just yet, there are three other new pets at the Darkmoon Faire. 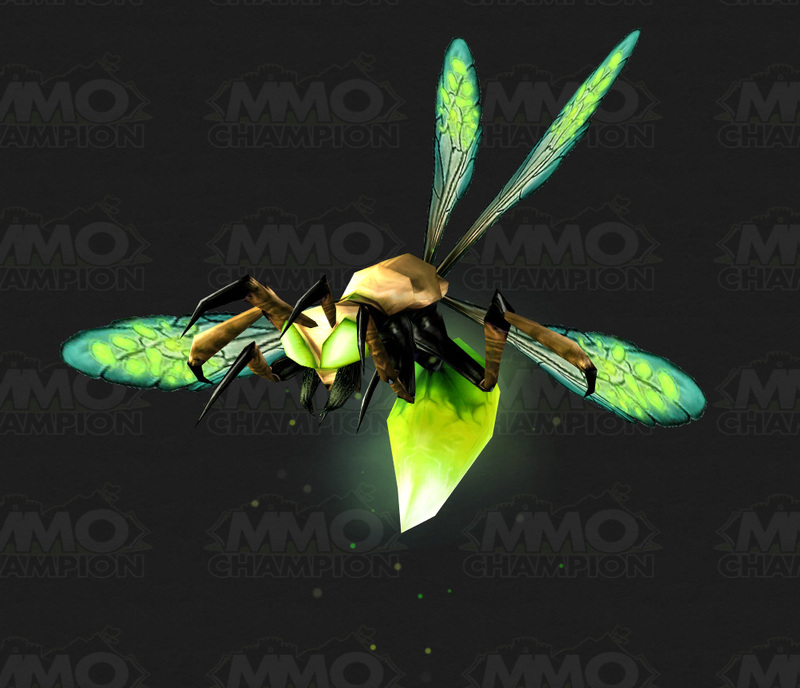 The Darkmoon Glowfly can be captured during pet battles on Darkmoon Island. 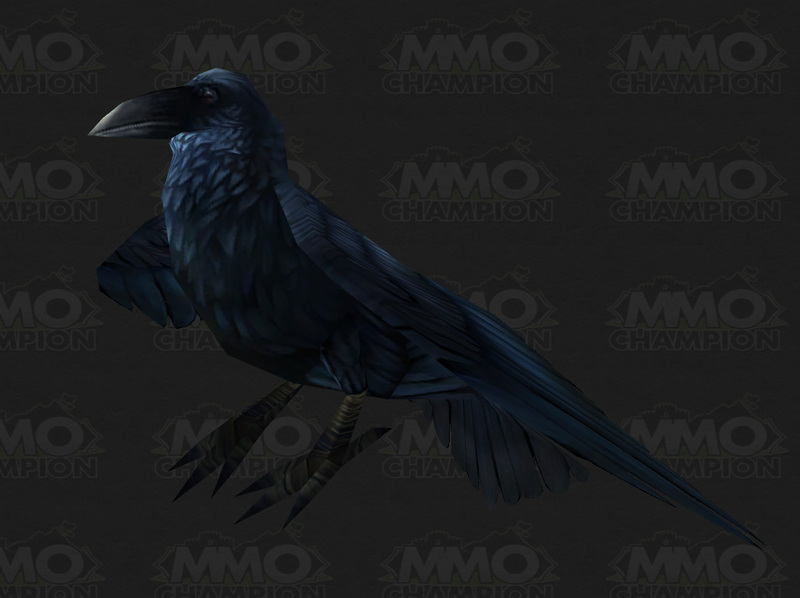 The Crow will also be captured from battles on Darkmoon Island, but is currently bugged and uncapturable. 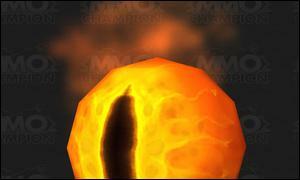 The Darkmoon Hatchling is sold by Lhara for 90 x Darkmoon Prize Ticket. 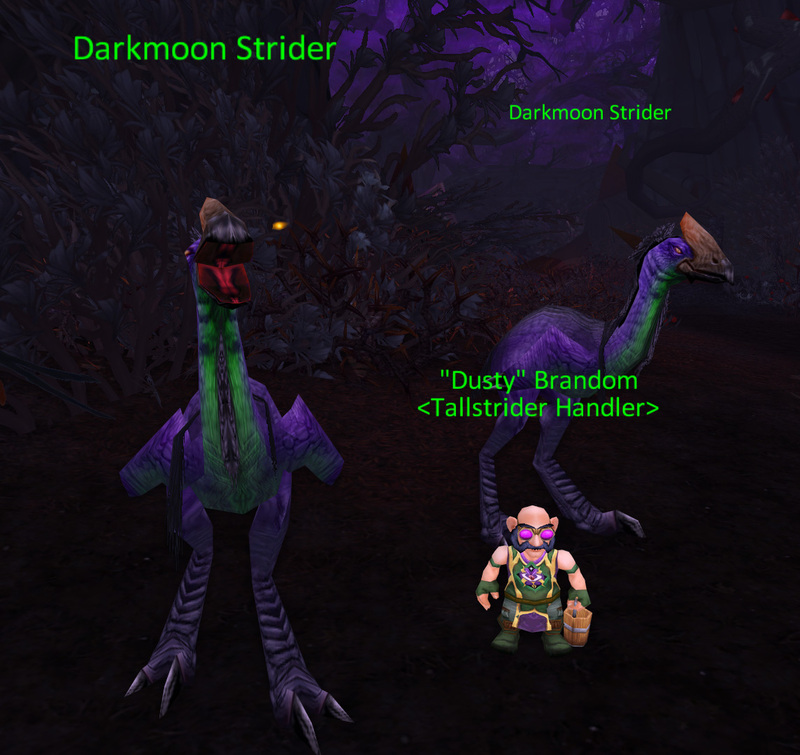 Lastly, “Dusty” Brandom is now waiting for you at the entrance to let you use one of his Darkmoon Striders on the way down. 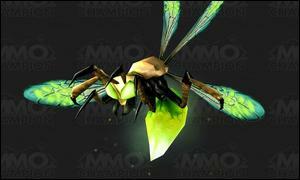 This is the same model that is used by the Swift Forest Strider, sold for 180 x Darkmoon Prize Ticket. As we’ve stated in the past, we want the Brawler’s Guild to have that tight knit, underground kind of feel to it. So for now, it’s going to be a lot tougher to get in. I’m sure you have other friends who would be willing to give you an invite for free or very cheap if they had one. As membership grows in the guild, so will the chance of one of them getting invited and having one to share with you. Can’t believe I spent all of last raid with Holy Avenger instead of Divine Purpose. Was testing to see if DL/FoL got the 30% bonus. Nope! I could have told you that! No responses to my bug reports, tickets to tweets to @Ghostcrawler about how Holy Avenger is buggy. Hard for folks to imagine how 5.1 nerfs feel so people keep falling back to how it feels today. Still broken = nerf plz! Why a weekly valor cap? I have thought about it and can’t come up with a good reason. If an alt gets every accomplishment your main has then you have few reasons to play that alt. There has to be a better design. I disagree Greg. I play dif chars because I want to play a dif class, not to get some achieves. Make them all .net bound. Some view alts as new char to build from scratch. Others see as just playstyle change fr. main, so build = repetitive hassle. What things do you keep in mind when making the decision if something should be account bound? So its not OK to expect to be able to taste the content you just lauched? I’m a mage and my transmog is the 25m T8. Could we have matching belt/boots we don’t have access to, used in game by Rhonin? Why do nerf cleave on Garalon, it always worked the same, on Zon’ozz for example, why dont nerf it before? I am getting 1 shotted by either a mage or warrior, when my life is at 180k (half). That’s not the conventional definition of one-shotted. Many abilities hit for 100k. It’s when you get to 400k that no counter. One shotted can also mean dying in one GCD, from full, or as near as as makes no difference. This DOES happen. Based on some of these tweets, I’m thinking some of you won’t be happy until the only spell left in PvP is autoattack. Nice hyperbole….I think most people will be content just not getting instantly globaled by TFB/Stampede type abilities. Thats akin to having a skill with 99.99% 1 damage and 0.01% 1M damage. Rare doesnt mean TfB is balanced or good design. We don’t let players, even expert ones, balance the game for us. We appreciate their feedback, as we do all feedback. I respect you, Greg Street, but how obvious does it have to be? 1-shotting is not OK no matter how RNG it is. EoD. I actually agree with that, but nobody is 1-shotting you with TfB (or CB). 5-stack TfB crit does what 250K? 2 or 3 shot maybe. Did you try the approach of Rock paper scissor for PvP ? Or increase it if you consider it live already. I don’t think RPS works for WoW Arena because you’ve already picked your comp. That does not mean strengths and weaknesses are bad. Weren’t they supposed to be implementing a “hide enchants” feature? Or is it delayed until Dance Studio? Without tabard spam dungeons feels really unrewarding past 463. Used to do it all the time in Wrath, hate it now. We don’t think having dungeon rep replace daily rep is the answer, but maybe we can come up with a compromise. Do devs ever make changes to game based on their personal (Live) play xpr? Not to buff themselves, but just improve things. Wouldn’t this encourage people to buy from gold sellers? So I’m curious Greg, what other games besides Blizzard’s are you playing at the moment, if any? Borderlands 2, XCOM, a little Arkham City, a replay of ME3 and some dumb iOS games. AC3, Halo4 in the pipe. I play a lot of games. 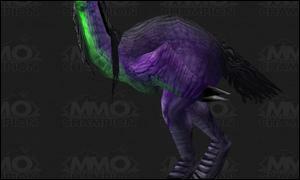 Finding the drop rate of things like Porcupette or adding new data like the Patch 5.1 Darkmoon Faire additions is done with the help of many players. The more people that contribute data, the more accurate and quickly we can update the database. To help out, just install the WoWDB Profiler addon from Curse and check the box in the Curse Client options as seen below. When you are playing the addon will gather data and save it. When you are done playing, Curse Client will see the game close and upload the collected data from the addon. Breathing2004 has added a new piece of art and made an updated version of an older one.